I'll be sharing my reflection paper after we had our outreach program at the Tahanang Walang Hagdanan in Cainta, Rizal. The people there were very nice and welcoming. Even the security guards there were very nice when they accommodate us in the place. So here it is. Last 2nd day of March, we were scheduled to conduct an outreach program at the Tahanang Walang Hagdanan. The outreach activity is a requirement from our CSR 003 subject (Corporate and Social Responsibility). From this activity, we are expected to understand the organization of the TWH and to see the life of the orthopedically handicapped persons who were a part of this organization. Our group prepared gifts for them and we also give foods. From the process of organizing the outreach and making it happen, I must say that it was a bit hard since I am the leader of the group. I am in charge of planning on what we will do for the outreach and I was also the one who processed certain documents. Throughout the hardships and efforts that my group mates and I had put into, we were able to conduct the outreach program and made it possible to happen. This experience was indeed fulfilling and from the difficulties we had, it all paid off as we get to the TWH. From the outreach program, we were able to understand more what the TWH is all about. We also had a chance to roam around the place and see the different working departments. We went at the packaging department wherein the medicine packaging happens; we also went in the Wood Craft. We also learned that TWH offers a SPED program to those people with special needs. Since they started, they offered jobs to the orthopedically handicapped persons. The organization believed that persons with disabilities have the strength and ability to work and provide needs for themselves and for their family. This half day activity was filled with realizations. I have come to understand the life of the persons with disabilities as I’ve felt their warm welcome to us. I am very thankful to Ate Dessa, who assisted us and tours us in the TWH. 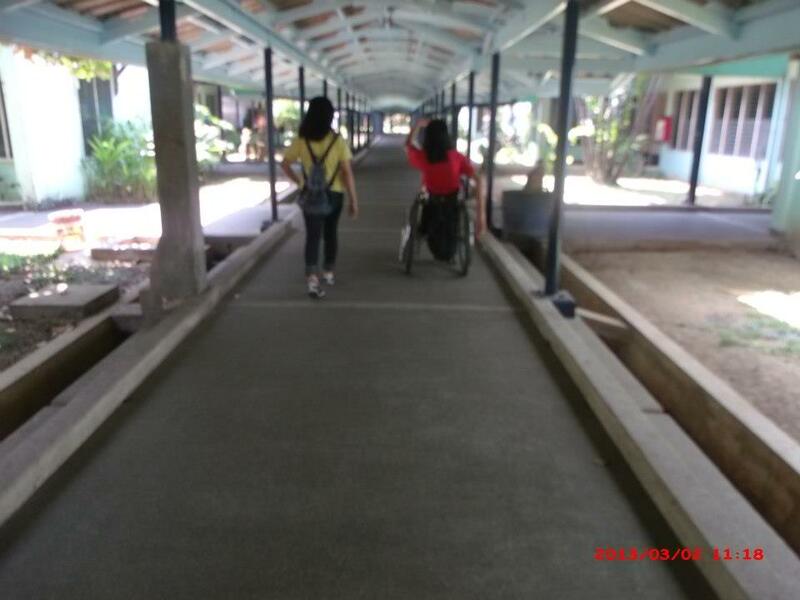 Ate Dessa is also an orthopedically handicapped, as we spend time with her, we learned things as she shared the story of her life. Her condition is challenging, she was only 17 years old when she was no longer able to walk. When she was still in her adjustment period and getting used in sitting in a wheel chair, she thought of ending her life. She thinks that she can no longer do things because of her condition, but a friend of hers which is also a person with disability told her about the TWH. Ate Dessa apply for a job in the said organization and as she was become a part ofit, she was able to show that she could do things. She now has her own family and still working in TWH. Relating to what happened with Ate Dessa, opportunities are for all of us. It doesn’t limit the individuals’ strengths and it chooses no one. TWH is the opportunity for Ate Dessa and for all the persons with disabilities. This outreach program is a realization for all of us, we learned new perspective in life. It is really a good experience knowing the people from TWH and I will be surely grateful to come back and visit them again. I can't even remember when was the last time I have posted something here in my blog. Haha! Just been very busy lately and too much stress lessens my interest in posting anything in my blog. So, what has been happening in my life for the last months and days? :D Well, I attended the 12th Logistics and Supply Chain Management Forum. All the participants were required to wear corporate attire. 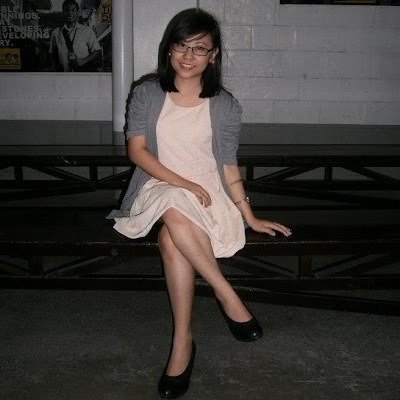 Here's my photo wearing my corporate attire. I wore a dress, I really bought that dress for the said event/ forum. Haha. So, that's it! I was excited for that forum not only because of what I have been wearing. I was excited that I will get to see the speakers which I expected to be inspiring. At the end of the forum, I really enjoyed it and the time I spent to that forum was indeed a worth to give. "Happy moments are indeed memorable." I am 19 years old, a college student, taking up BSBA Major in Logistics Management, a guinea pig lover, and color pink lover. Links or references posted are not owned by the blogger, unless it is stated. Powered by Blogger.